Virtual machines are essentially a simulation of a computer system. They employ computer architecture as a means of providing the functionality of a physical computer and have become increasingly significant for cloud computing. In today’s blog, we’re exploring the value behind the applications of our virtual machines. System virtual machines were originally developed to make running multiple operating systems possible, enabling numerous singular tasking operating systems to apply time-sharing between them. Process virtual machines, on the other hand, were created to carry out computer programs in a platform agnostic environment. The start and completion of these processes is what creates and destroys these virtual machines. One of the primary applications of virtual machines is that they allow you to run multiple operating systems on the same computer without any interference. This aspect is quite helpful when it comes to testing new software as the virtual machines create a sandbox for it to run within which not only improves the access to debugging but also leads to quicker reboots. VEXXHOST ensures that the choice is yours when it comes to selecting the type of instance, operating systems, and software options. Also, the combination of our high-end compute nodes and tuned cloud server scheduler boots your servers faster than ever before – in about 30 seconds! Another useful application for virtual machines is in regards to hardware. Each virtual machine supplies virtual hardware, such as network interfaces, CPUs, hard drives and memory. This virtual hardware is then connected to the hardware on the physical machine, benefiting users by saving costs as they won’t need as many physical hardware systems. As a result, this also lessens the demand for cooling and reduces the amount of power in use. With VEXXHOST, you can select the optimal configuration of your memory, disk space, and CPUs to meet your application needs. Additionally, our cloud servers allow you to easily increase or decrease capacity within minutes without worrying about upgrading any physical hardware. Virtual machines can also create backup snapshots, clone systems and operate malware. In the case of backup snapshots, these single files can restore your system should something go wrong, be it during the installation of some new, potentially unstable software or when uninstalling any software that is no longer needed. Again, as the data within virtual machines is contained within a single file it can be easily transferred and uploaded to other computers. All in all, virtual machines provide businesses with flexibility, cost savings, easy data transfers and security making, them an incredible asset. 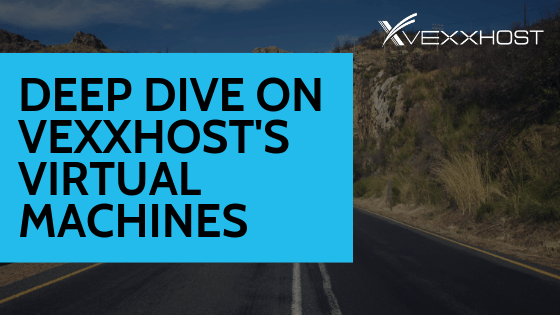 At VEXXHOST we know that when properly deployed and managed, virtual machines can have a significant impact on the way your business works with computing. We also know how our virtual machines can integrate with our other instances and, within our private cloud offering, have made it possible to operate them along with enterprise-grade GPUs, Kubernetes and even bare-metal all in the same environment. Contact us for more information!